You save 25% that's £50.00! Width 90cm, Height 111cm, Depth 33cm. 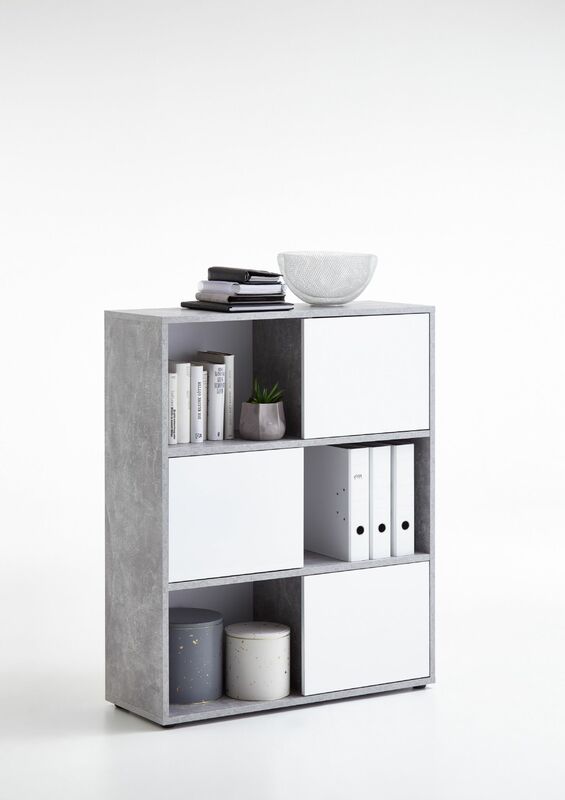 The modern Luna White and concrete grey bookcase with doors. 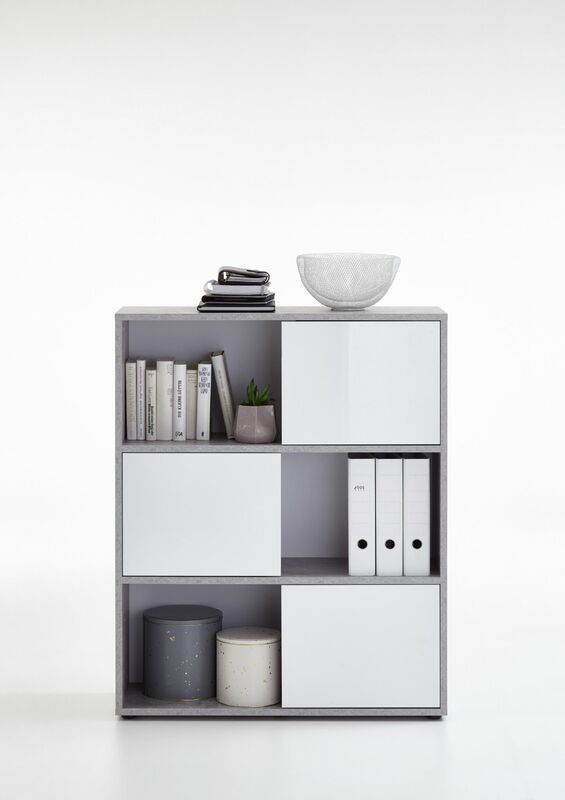 Perfect to use in any room white a modern concrete grey and white combination. The doors can be set out as required or left out completely.